This workshop is intended for language teachers who want to familiarize themselves with Excel, a spreadsheet software package, at the beginner level. The presenter will start with a simple presentation of some very basic features of Excel as an alternative to word processing software. Participants will learn how to make settings for creating and printing documents containing a number of columns or complex tables. In the latter half of the session some useful functions and formulas will be introduced for dealing with numeric data such as students’ scores on assessments and/or examinations, and we will touch on some simple calculations and graph drawing. Dr. Takahiro Ioroi is a Professor in the Department of Cultural Studies at Kochi Women’s University. He started his teaching career at a high school in 1986 and joined the faculty at KWU in 1994. His research activities include the theoretical study of English phonology and morphology, and more recently he has focused on the acquisition of the English word stress system by Japanese EFL learners. His interests also extend to the use of information technology in language study (Corpus Linguistics) and education (CALL). 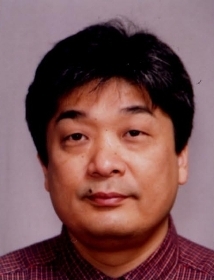 Professor Ioroi teaches EFL, English linguistics/phonetics, and teacher-training courses. He serves as Publicity Chair for East Shikoku JALT. Click the ‘continue reading’ link below for a map of the workshop location.